Ever wanted a furry best friend? Opportunely located in the Metro-Atlanta community, there is an admirable organization that rescues a tremendous amount of dogs daily, and seeks to give them a forever home called Releash Atlanta! It was founded five years ago starting as a facebook page which eventually grew into the marvelous, charitable organization it is known for today. The founder, D.D. Finch, a resident of the Atlanta area, lives and connects with many locals. 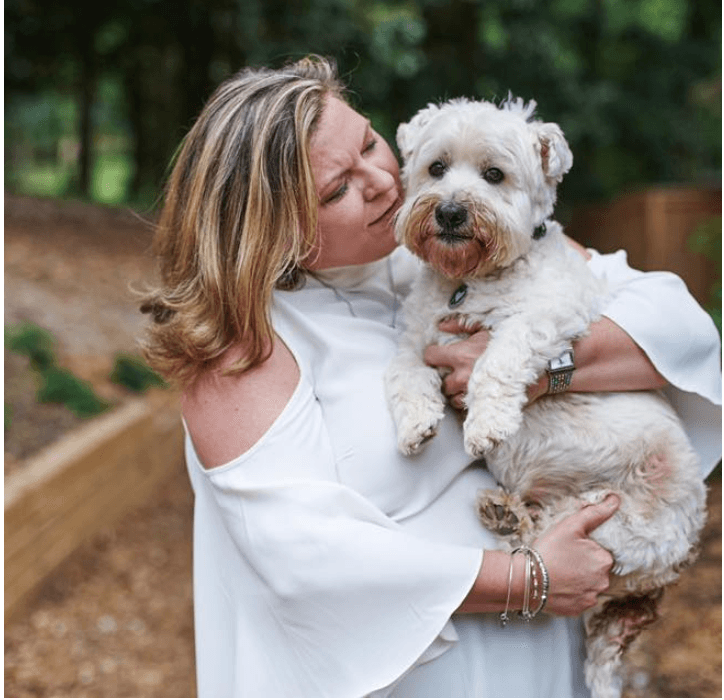 Although her initial career choice is caring for children as a pediatric nurse at Children’s Healthcare of Atlanta for thirty years, her empathic, kind personality extended into her love with caring for dogs. D.D. Finch, Founder and Executive Board Member of Releash Atlanta “I have supported the dog rescue world for years,” said D.D. Finch. In 2018, it marked two years of her fostering dogs. She has rescued hundreds of dogs thus far, continued to exemplify her dedication for dogs constantly, and has always wanted to impact the community with the proper education about rescue dogs and their lives. These goals motivated her to build her executive team of volunteers to make her dreams come true. So why Releash Atlanta? Releash is an unique rescue dog organization that serves dogs. Their entire mission is they do not hold adoption events in public, but through meet-ups at restaurants or social media platforms. They raise donations from all around the Atlanta area not to pay their employees a salary, but to provide proper care for each dog. When Releash Atlanta first began, it had a matching process which followed a step-by-step procedure. First, they located dogs in shelters or the streets; next, they administered proper care that could be as simple as a grooming treatment to receiving vaccinations. From there, they create and distribute an online profile that includes a dog’s specific breed, color, size, and age ( if applicable). 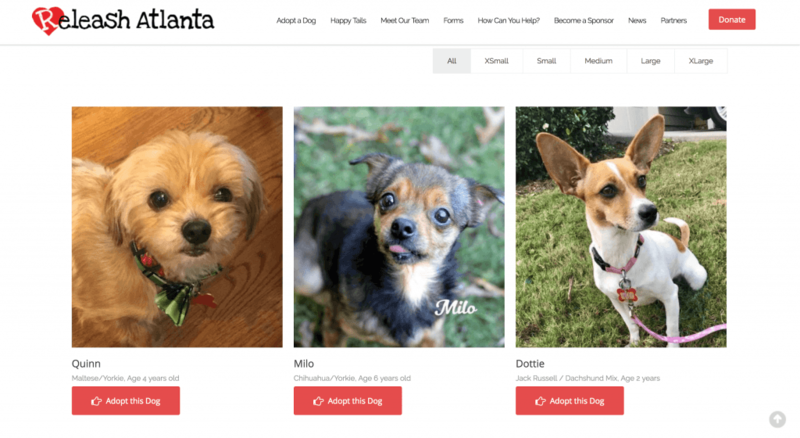 Finally, they post the dog’s images online to their social media platforms, specifically facebook or their website, to let the community know that the dog is available for adoption. Once the profile is released, applicants can look for a match and fill out a detailed application for consideration. The executive board reviews the candidates and reads over all the aspects of the applications and considers the viability of the match with the potential dog for adoption. Once approved by the board, an interview is scheduled. Releash Atlanta does not have their own facility and all dogs are fostered at a home by the founders and executive board. This allows a connection with the dogs as soon as they have been rescued to the moment they enter their new home. Therefore, the interview is an important part of the process to not only meet the individuals, but to be able give proper instructions on the first meeting with their rescue. Although most aspects of the matching process, such as the interview process, are still intact, now Releash Atlanta is a non-profit, one-hundred percent volunteer-based charitable organization. This truly helped expand their organization because more dogs can be fostered and cared for than ever before. Volunteers do everything from events, transportation services, marketing, foster home care, etc. Their staff includes a couple of hundred volunteers who have provided resources needed for each rescue. Releash Atlanta is constantly adding to their group, not for the benefit of their organization, but to help as many rescue dogs as they can at a time. Volunteers commit to long-term involvement with the organization which they come to see as family. Releash Atlanta Volunteer Event in Atlanta. 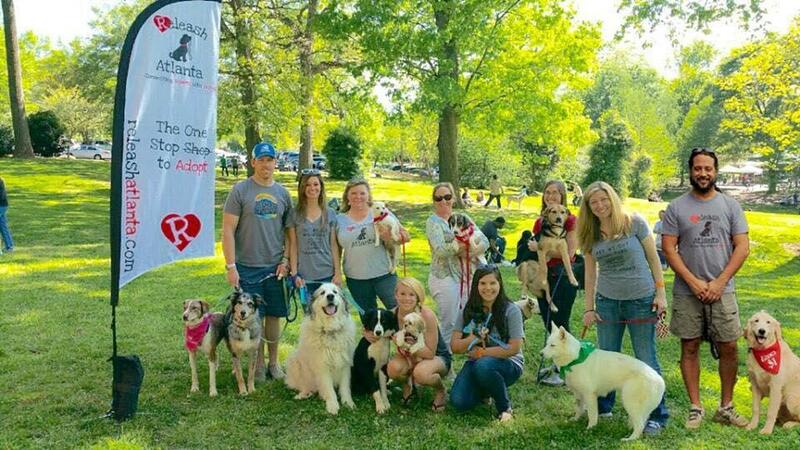 Releash Atlanta is excited to participate in the annual Rescue Dog Olympics festival, a large, pet-focused event that will be held on Sunday, March 10, 2019 in Piedmont Park, Atlanta. Many metro Atlanta rescue organizations celebrate and unite dogs to find their forever homes during this event, and this year, Releash Atlanta will have a tent where they plan to advocate and educate the community to positively impact the world of rescues in Georgia. They will have adoptable dogs at the event as well where you can get more information on their process and volunteer positions. We hope to see you there! Images used with permission from D.D. Finch, Releash Atlanta Website and Facebook Page.